Why: If Eli wasn't getting under Ruth's skin, she wouldn't be making threats. Eli returned to Peter’s office with an apology for his attitude after he found out Ruth would be replacing him. He made it clear to Peter that he understood there was no longer room on the campaign, and the two men shook hands. 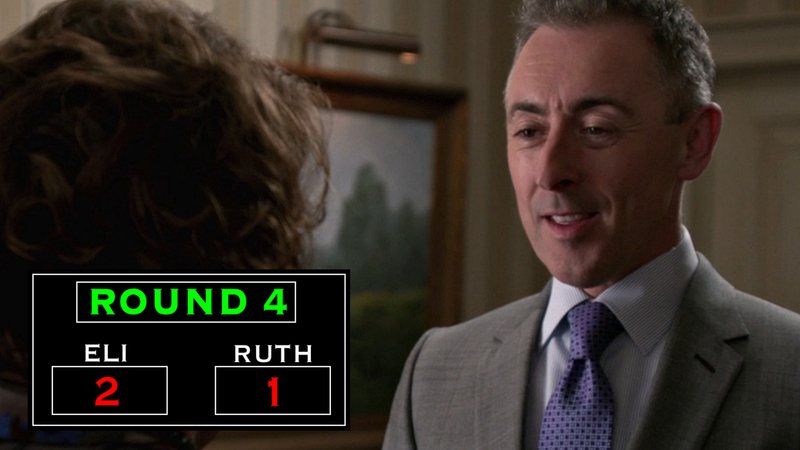 On his way out of the building, Ruth had a few words for Eli. All fake smiles aside, Ruth— in no uncertain terms—threatened to ruin Eli's life if he came near Peter again.